We create value and optimise businesses to create a sustainable future for our investors and partners. We do this by investing responsibly in companies operating in the fast-moving consumer goods (FMCG), business services and inclusive tech-enabled financial services sectors. The businesses we invest in are innovation leaders in their respective industries. While they move fast, we are committed to investing for the long-term. This means that we manage risk and introduce trusted sector and business advisors whose knowledge enables us to make considered investments that will attract long-term returns. We adopt a patient capital approach, in contrast to other traditional private equity funds whose investment mandates drive short-to-medium term investment behaviour. This enables us to provide entrepreneurs with long-dated growth capital that strategically aligns with their business aspirations and maximizes the potential of the company. We take a patient and considered approach to investing in early-stage, mid-market or strategic businesses in the fast-moving consumer goods (FMCG), business services and inclusive tech-enabled financial services sectors across Sub-Saharan Africa. We focus our investments on South African intellectual property, management teams or companies who are seeking expansion capital for growth both in South Africa and north of our borders, or who benefit from key customers expanding into new territories. We believe that collaboration delivers results every time. That’s why we partner with entrepreneurs and a vast network of specialists to provide the operational, strategic and financial support that can accelerate growth and maximise returns. We maintain a tight sector and geographical focus. This ensures that we develop and retain specialist knowledge that informs each investment, while also mitigating risk. In addition, economic, social and corporate governance is a key component in our investment decisions. This allows us to align our investments with our philosophy of responsible investment for long-term sustainable growth. Vida is South Africa’s largest independent chain of coffee shops and is a supplier of beverage products and services to the corporate market. Vida's stores are company owned and franchised and are based predominantly in South Africa with the head office in Cape Town, South Africa. Nurevas is a Ghanaian based food processing business which aims to become a leader in the manufacturing and marketing of a broad range of processed foods (primarily sauces, spreads and condiments), in West Africa. JUMO is the largest scale, lowest cost financial services platform for people, small businesses and mobile network operators in emerging markets. Westpack is a contract packing and manufacturing business specializing in dry foods. It operates a facility in Durban, South Africa, and the customers include Unilever, Nestle and Premier Foods. ComboCap is a US technology company with global reach across the pharmaceutical and nutraceutical industries. ComboCap have developed the world’s first 2-in-1 capsules with a movable membrane. Zibo Containers is the largest manufacturer of rigid PET thermoformed containers in Africa. PET containers are primarily used in food and the food service packaging industry. 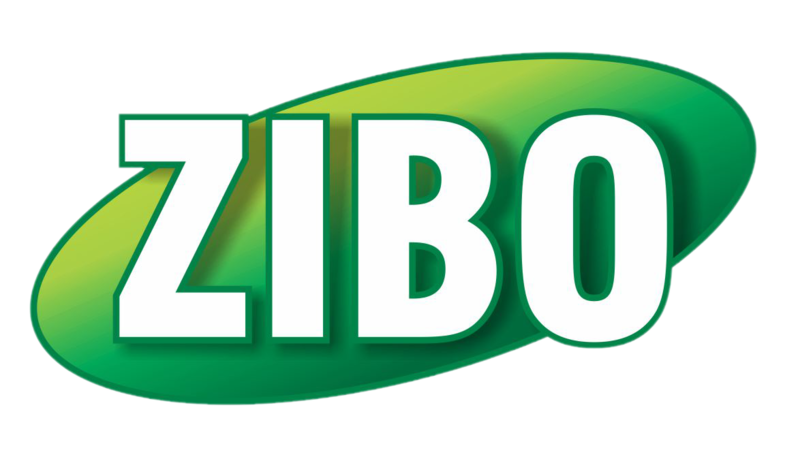 Consequently Zibo's products are focused on the produce, protein, bakery, cups and lids, deli and horticulture sectors. Our team comprises dedicated investment professionals who are supported by internationally respected senior advisors and key sector experts. Tom is a Board Member of investment company AB Kinnevik, Vodacom Limited, Woolworths Holdings, Royal Bafokeng Holdings, African Rainbow Minerals Ltd and is a non-executive director of Nedbank Group. Tom is director of the Peace Parks Foundation, Chairman of the David Rattray Foundation and a trustee on a number of other charitable foundations. Tom is Chairman of Athena Capital (Pty) Ltd and provides advice on investment recommendations made by Athena Capital in his role on Athena Capital’s investment committee. His varied business background and extensive local and international networks add immensely to our investment process and on-going strategic growth in the business. Tom was Athena’s first Shareholder and Chairman in 2007. He has an extensive and enviable track record in the emerging markets specifically on the debt side. Tom was head of UBS emerging markets after which he co-founded DePfa Investment Bank, where he ran the London operations. Tom co-founded Finisterre Capital, an emerging market hedge fund now managing circa US$ 2,8 billion. Tom is actively involved in deal origination and expanding Athena Capital’s network in the UK and European markets. Paul is currently chairman of MTN South Africa, Worldwide Coal Carolina (Pty) Ltd and Afric Oil (Pty) Ltd. He was the CEO of Price Forbes Insurance Brokers where he built the business into the 7th largest global Insurance Broker, introduced employee benefits and founded the first cell captive company in Africa, Guardrisk. Paul was instrumental in the listing of Alexander Forbes on the JSE, expanding the company internationally and subsequently dealing with the offer from private equity investors to buy out and de-list the Alexander Forbes Group. His role at Athena Capital involves the development, management and improvement of risk management processes, as well as the transaction sourcing and investment evaluation in the Financial Services sector. Jonathan founded Athena Capital in 2003, leading its evolution into leading Sub-Saharan Investment Advisor with offices in Cape Town, Johannesburg, Mauritius and London. Jonathan has significant investment and board experience spanning the Infrastructure, Health, Financial Services and Fast Moving Consumer Goods (FMCG) sectors. Jonathan directs the business with a focus on building sustainable relationships and aligning Athena with management teams and clients. His previous experience includes several years in IBM’s financial services business in London, where he later founded an IT business before returning to South Africa. He played an instrumental part of the UK team that introduced the first online applications for credit cards and travel insurance. He continues to be interested in Venture Capital and disruptive technologies. Jonathan has a passion for entrepreneurial development in Sub Saharan Africa. He co-founded Eden Campus (the country’s first free rural entrepreneur university). Jonathan is jointly responsible for deal origination, negotiation and execution and leads Athena Capital’s deal executive team together with Anton Newbury. He completed an AMP at INSEAD in 2000. Anton’s commercial career began in international commodity trade, working for global trading companies, Mitsui in Japan and Stemcor in South Africa. He then joined the Safren Group, where his responsibilities included group corporate finance and culminated in the unbundling and delisting of the Safren group. Anton was recruited by the Brait Private Equity team in 1999 where he worked as a director of their private equity business. Anton left Brait and acquired an interest in Kathea Communications, managed the business and successfully exited around three years later. After founding a logistics business that provisioned services to Premier Foods, Anton led a management buy-out of Premier Foods in partnership with Brait Private Equity. He served as Commercial Director at Premier for five years before selling his interest in Premier Foods to Brait Private Equity. He bought into his second logistics business, Manline (Pty) Ltd, and later sold his stake to Barloworld Logistics. He invested into Athena Capital in early 2013 and is the joint managing partner of the business alongside Jonathan Heinamann. Andrew joined Athena Capital in 2010 from PwC in London, where he held the position of Senior Manager in the Financial Services M&A advisory team. He has extensive experience in cross-border transaction advisory and investment appraisal, having worked with a client portfolio that included global private equity houses and FTSE100 Corporates. Andrew’s role at Athena Capital includes deal origination, investment appraisal and due diligence, transaction structuring and on-going investment management. After completing articles at KPMG , Leon spent three years at Credit Suisse in London and later held various executive positions at listed media business Sasani. He structured and participated in the management buyout and delisting of the group in 2005. The subsequent sale of the business to Sabido Investments led to a number of investments in the engineering industry, partnering with Ellerine Bros and Coronation Capital. In 2010 Leon joined Core Group, Apple Inc’s partner for Sub-Saharan Africa, as COO and was responsible for the daily activities of the group. He is a Chartered Accountant and completed the AMP at Harvard Business School. Leon joined Athena Capital in 2017 with responsibility for investment appraisal, deal negotiation, execution and portfolio management. Pavo joined Athena Capital in 2014 and is a deal executive. He holds a Business Science degree with Honours in Finance as well as a Masters degree in Investment Management (Finance), both from the University of Cape Town. Prior to joining Athena, Pavo worked as an analyst for Vulpes Investment Management, a Singapore-based family office and hedge fund. Pavo’s responsibilities include research and analysis as well as portfolio maintenance. James Bailes joined Athena Capital in 2015 and is a deal executive. He was previously an analyst at Investec Asset Management and a leading member of the firm’s Investment Institute, where he dealt with Investec’s strategic engagements and directed research in developed and developing markets. He provided insight on key political, economic and investment trends that impacted investment decision-making across geographies and asset classes. James graduated from the University of California, Berkeley with a degree in Political Economics. James’s responsibilities include investment appraisal and due diligence, financial analysis and ongoing portfolio management. To view our Conflict of Interest Management Policy, please email admin@athenacapital.co.za.